30" wide x 72" long. Incline from 1" to 12" height over a 72" long span. 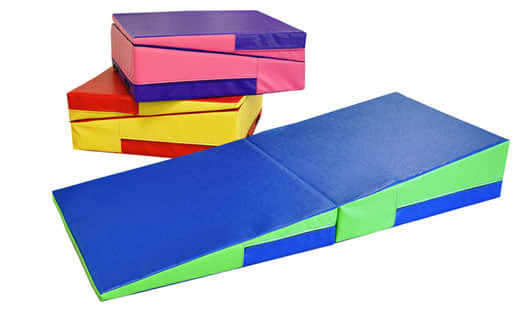 Folds in half (folding incline mats provide versatility and easy storage). Firm polyurethane foam core. Heavy duty vinyl fabric. 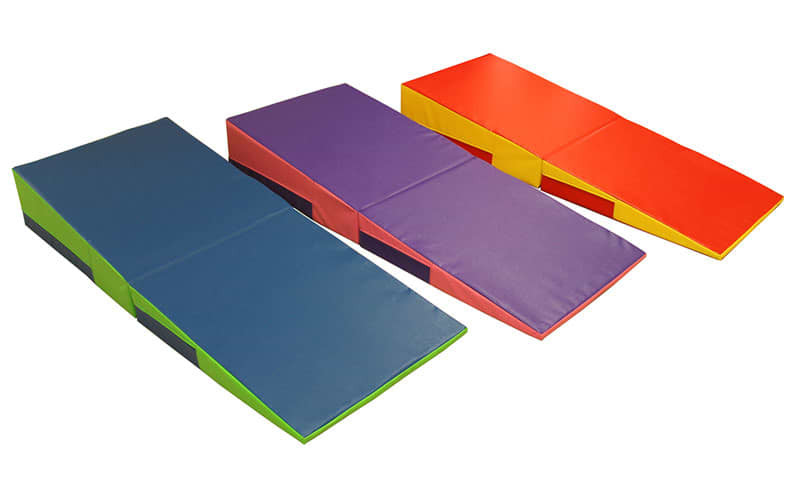 An incline mat works as a great tumbling aid, crash pad, or landing mat when performing basic rolls, walk overs, and hand springs. 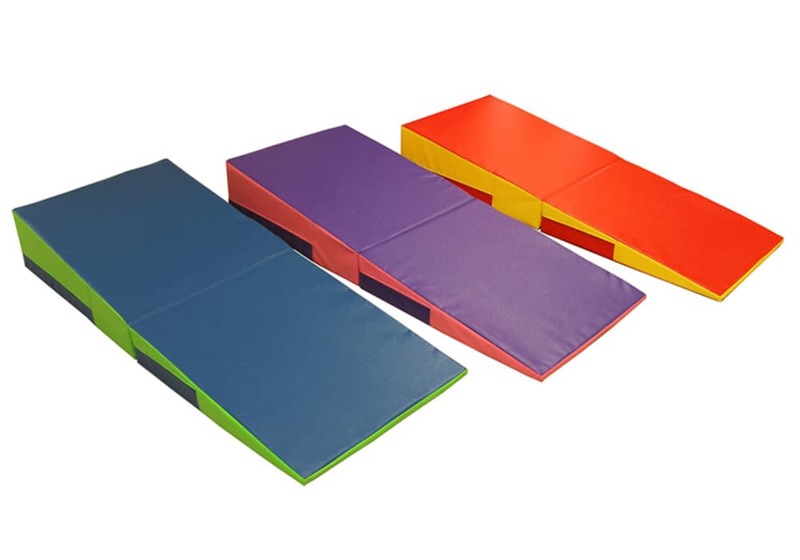 Our Folding Incline Mat is an extremely popular piece of training equipment equally effective for learing gymnastics and cheerleading moves. 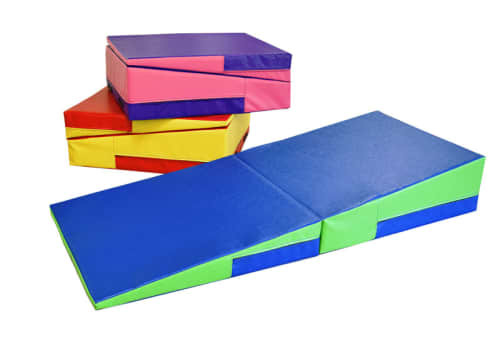 They are also known as a gymnastics or cheer cheese mat or wedge. Basic rolls, walk overs, and hand springs are easily mastered with this training aid, but you can also use a gymnastics incline mat as a tumbling aid, crash pad, or landing mat. They fold in half for easy storage, and when folded they can be used as a jump-off platform. Perfect for the aspiring beginning gymnast in your family. 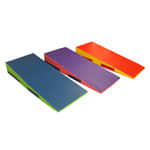 See more extensive selection and sizes of incline mats! Incline from 1" to 12" over a 72" span. Folds in half for versatility and easy storage. Surface: Heavy duty vinyl fabric.